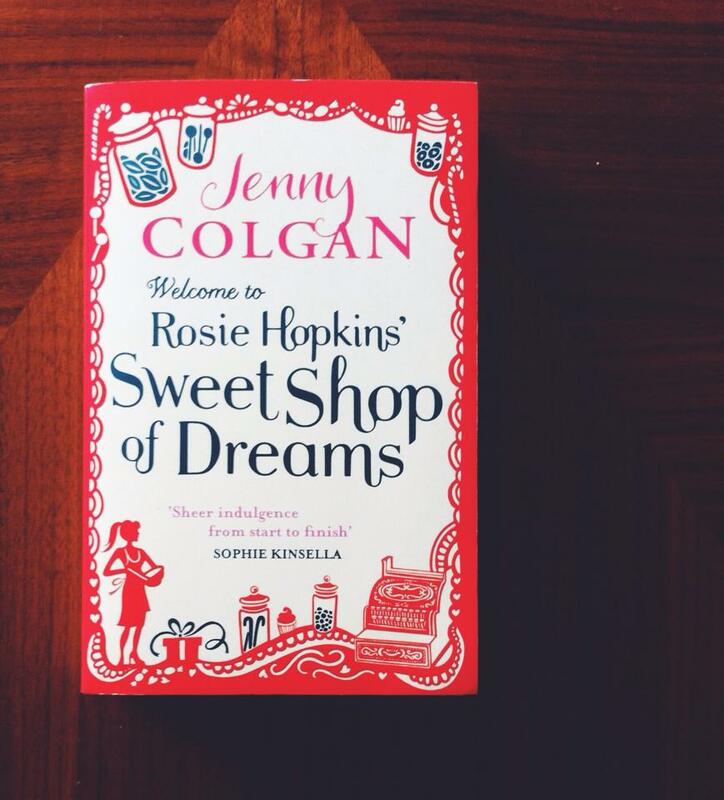 It should come as no surprise to you that I enjoy reading, I've mentioned it a fair few times on my blog before. I love that feeling you get when your reading a book, the feeling of not wanting the story to end. Of being able to imagine yourself in their little world amongst the pages, feeling and living what is going on, imagining yourself in their shoes. That is the beauty and magic in books and it fascinates me how an author is able to capture those feelings and emotions within you. I thought I'd share with you today some of my favourite books that I've read in the past. I tend to mostly read your typical chick lit type of books. Those feel good, girly romances, I just can't get enough of them, as you will be able to tell from my list below. Although you will also notice that there are a couple of others that have slipped through the net, books that have been highly recommended to me by friends, for which I am grateful for. 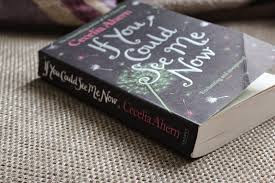 If You Could See Me Now by Cecelia Ahern - I'm a huge fan of Cecelia's work, she is a fantastic writer and she always manages to add a little bit of magic to her stories. This one in particular follows the path of a young child and their imaginary friend, it is brilliant trust me. 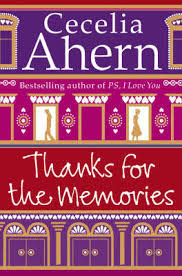 Thanks for the Memories by Cecelia Ahern. Could you imagine waking up with someone else memories, finding yourself drawn to someone you've never met because of them. Another fairytale like story from Cecilia that is definitely worth a read. The Night Circus by Erin Morgenstern, I cannot tell you how much I loved reading this book. It's not what I would normally read but literally could not put it down. How I would love to visit a place like this, if only it were real. 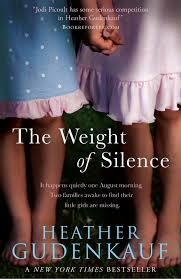 The Weight of Silence by Heather Gudenkauf, a story of twists and turns provoking panic within you wondering what has happened to the two young girls who have gone missing. Very powerfully written and a real good edge of your chair kind of read. One Moment One Morning by Sarah Rayner, I read this book as part of a book group I was in quite a few years back now, but the book has never left me. It really makes you think about a situation, and what may be happening elsewhere. 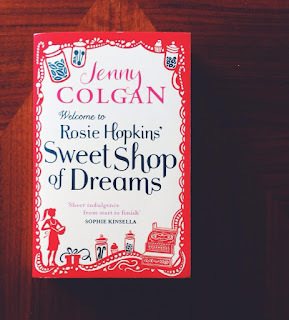 Rosie Hopkins Sweet Shop Dreams by Jenny Colgan, a true feel good book, who wouldn't want to run their own sweet shop? 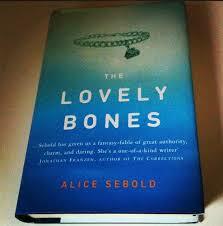 The Lovely Bones by Alice Sebold, I read this as part of my book club and would never have picked it up otherwise, a bit of a chiller but well worth a read, and it is so much better than the film. Sister by Rosamund Lupton, this is another of those breath holding, edge of your seat type books and yet the more I read the more I wanted to read, I could not put this one down. Again completely different to what I would normally read but you know what, sometimes it's good to step out of the comfort zone every once in a while. 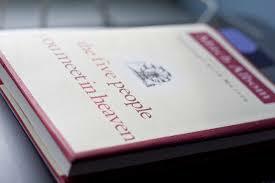 The Five People You Meet in Heaven by Mitch Albom, now this is a book to get you thinking about your life, how you treat others and how you may be perceived. It definitely makes you re-evaluate things that's for sure. Have you read any of these books? What did you think? I'd also be interested to hear what books would be top on your list. Not read any of these but some sound like they would be my sort of book. I like the sound of One moment one morning and the Night Circus. I'm trying not to buy anymore books at the moment until I've worked through those on my autumn bookshelf and those on my kindle. So may have to add these two to my wishlist. I don't think I've read any of these but I'm very tempted with The Night Circus.